QuiToque is a French company that delivers pre-packaged bags of groceries with suggested recipes to the doors of its costumers. It was known as Cookin'TheWorld until earlier this month when the new name was adopted. The visual identity was developed by French agency Brand Brothers in a month and a half. The new symbol combines the letter Q with a spoon in a bowl/pan, all drawn in one stroke. The logotype features custom-made typography. Brand Brothers also developed a set of icons and adapted all of it to fit interactive, packaging and delivery vehicles. Orange has been used as a mobile telecommunications brand in Israel through its local partner Partner Communications since 1997. Late last year, Orange announced that they intended to end their licensing agreement with Partner and last week they followed through, with Orange being replaced by Partner's own brand. A new visual identity based on flowing lines and a turquoise colour was launched at the same time. Update March 7: The new corporate identity was developed by MetaDesign in Zurich. In Google's ongoing effort to add more letters to its parent company Alphabet, they've recently spun off their New York-base technology think tank Google Ideas to become a subsidiary of Alphabet. Jigsaw is now described as a technology incubator that can tackle big issues, including geopolitical ones. According to a post by Eric Schmidt on Medium, "the new name acknowledges that the world is a complex puzzle of physical and digital challenges". Jigsaw will help put that puzzle together. RCI Bank and Services is a subsidiary of Renault that provides auto financing and insurance. It was previously known as Renault Crédit International and then as RCI Banque until last week when the current name was adopted as part of rebranding exercise. The new visual identity was developed by French agency 4uatre. The rebranding is part of an ongoing effort to make RCI more service-oriented. The round shape has reportedly been infused with lots of symbolism, embodying mobility and an international footprint. Flora is a Unilever-owned margarine brand in the UK. It is part of a major product line within Unilever of margarines made of vegetable oils and sold under names such as Becel (much of Europe) and Promise (United States). In January, Unilever launched a major repositioning of Flora in the UK, which includes a new visual identity and packaging. The new positioning puts less emphasis on health claims and more on the fact that it is made from natural vegetable ingredients, as expressed through the new slogan "powered by nature". The new packaging is similarly friendly and natural. So far, it appears these changes only apply to the UK market. Other iterations of Becel are not yet affected. After Boston decided to give up on its ambitions to host the 2024 Olympics, Los Angeles took up the baton and became the US candidate city. This week, they revealed the official emblem to symbolise that bid. The logo is credited to ad agency 72andSunny, other elements were created by Bruce Mau Design. The bid organisers want the world to "follow the sun" to the city of angels, so their symbol is the profile of a soaring athletic angel with the sun and the colours of the California sky shining through it. Some major identity changes were launched in January, not least in Italy where the major electricity company and the major telecommunications company both launched new corporate identities. The month also saw a new looks for Alaska Airlines, property insurer Chubb, TV channels BBC Three, LCI, Watch and TNT as well as many more. Many of these are presented below. 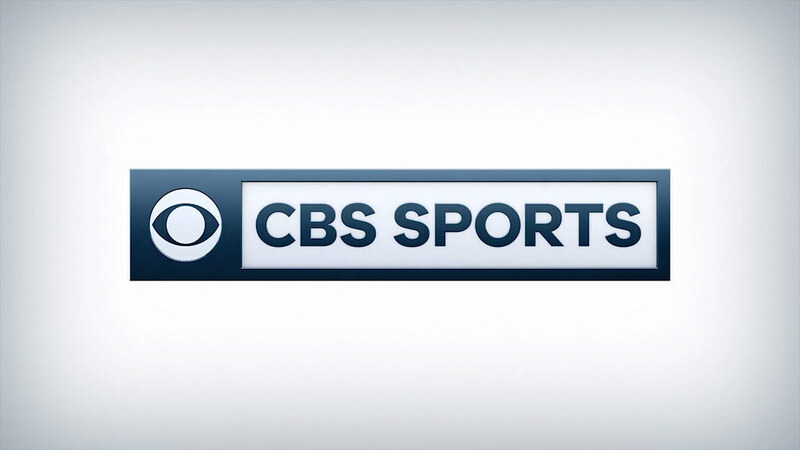 The slightly underwhelming CBS Sports logo revealed last year launched with a bang during the Super Bowl last Sunday. And as expected, it was surrounded by an extensive set of fast-paced graphics. Everything was developed in association with Hollywood-based agency Troika. The new system includes an extensive logo system for every right CBS holds, as well as graphics pakcages for the Super Bowl, American football, golf and college basketball. TNT is one of the more watched cable networks in the US. Over the last month, TNT has been slowly rolling out a new logo, first on social media and then on screen. This follows a similar logo change by TBS last autumn, both being owned by Turner Broadcasting. The former TNT logo dates back to June 2001, when the familiar letters in a circle where introduced. It was designed by Trollbäck + Company and has been through several graphics package changes since, the latest was in 2012 and designed by ferroconcrete. The new logo switches to negative and enlarges the letters, effectively turning it into a spotlight. The graphics make use of still pictures from the shows, bold typography and a limited colour range. No credit or official announcement appears to be available at the moment. Glyph is a media headset from a company called Avegant that take the shape of a pair of headphones combined with two projectors that display images straight onto your eyes, allowing you to create your own movie theater. It was formally revealed at this year's CES fair and has just started shipping. The brand identity was developed over a year as a collaboration between Avegant and DesignStudio. It also included work on Avegant's own corporate identity. DesignStudio sought to separate Glyph from other similar product by positioning Glyph as its own market category called "Mediawear". The visual identity uses "vision" as a metaphor, showing how Glyph makes the content you watch on it vivid and captivating. It takes the form of projection that display a light spectrum. This spectrum can also be glimpsed through the wordmark. The Chubb Corporation is a major American insurer of properties. Last month (on January 14), it concluded a merger with Zurich-based competitor ACE Limited. The new company will be named Chubb Limited and headquartered in Switzerland. At the same time the "new Chubb" launched a new logo. The old logo was most notable for having been designed by Raymond Loewy / William Snaith, Inc., founded by Raymond Loewy, "the Father of Industrial Design". According to a press release the new Chubb stands for "superior underwriting, service and execution". Whether those qualities can be found in the visual identity is in the eye of the beholder. The new logo consists of a quite geometric upper-case logo. It can be used with a variety of different bright colours. TV One is an American cable TV network, targeting an African-American audience. It is one of few cable channels not owned by major media conglomerates. On Friday, it launched a new logo that embodies its new tagline, "Represent". The new look is significantly edgier than the previous orange look, introduced in 2012 and covered here at the time. According to a press release, it is part of a "vision of the future that can only be achieved by defying expectations" and underscores the importance of "re-presenting and re-imagining" oneself. Tektronix is an American manufacturer of electronic equipment for various purposes. It was originally founded in 1946 to manufacture oscilloscopes, which remains the product it is most associated with. This week it revealed a new logo to celebrate its 70th anniversary and take the company into the future. The previous logo was introduced around 1991/1992. The new one is an updated version of it, keeping the angular line theme but incorporating it into the letter K and switching from serif to sans serif. Last year's edition of the Eurovision Song Contest was won by the Swedish entry, which means Sweden will be hosting it this year. 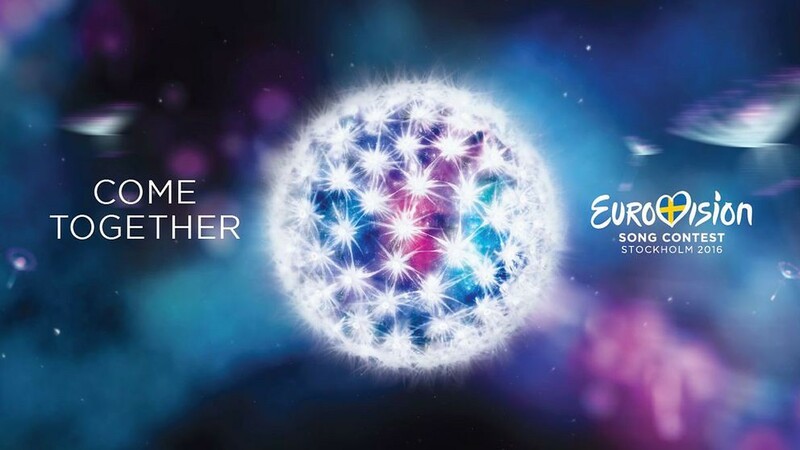 Although the contest has a generic Eurovision logo, each edition also has its own visual identity (referred to as 'theme art' by the organisers). A week ago, Swedish broadcaster SVT revealed the theme art for this years contest. The slogan for this year's contest is "Come Together", reflecting how Europe comes together through the contest. The symbol is made up of dandelion seeds that join up to form a glistening ball as visual expression of the "Coming Together" concept. The symbol was developed by Stockholm-based agency Ingo. On screen the symbol will be animated by a studio called Swiss and in-screen graphics are to be developed by Broken Doll. Both studios had the same tasks the last time Sweden hosted in 2013.